Halve the passionfruit and strain through a sieve to separate the juice from the pulp. Crush ice in preparation for combining with other ingredients. 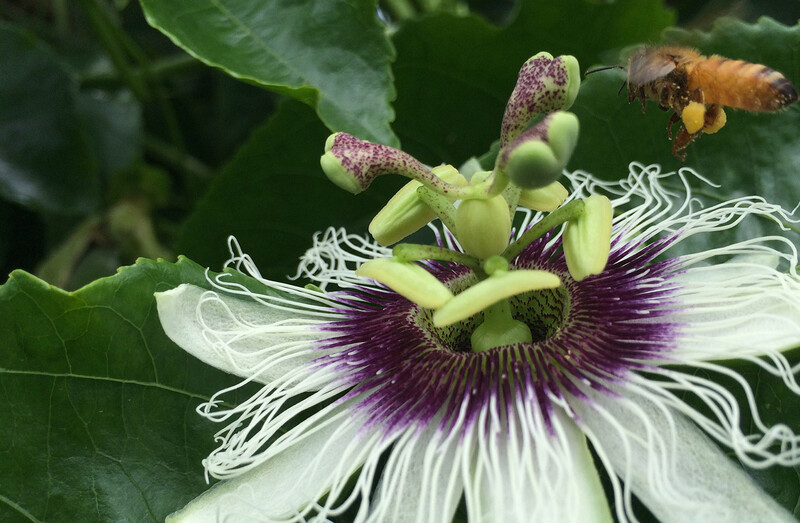 Place the passionfruit juice in a blender along with the skim milk, yoghurt, wheat germ (if using) and honey. 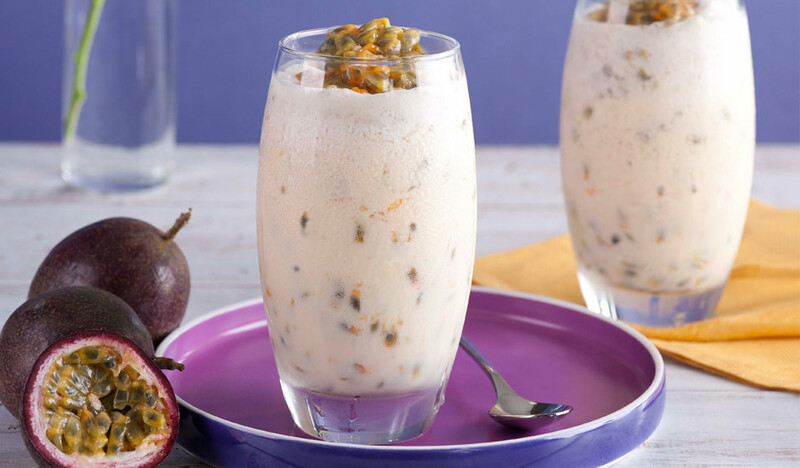 Blend until just smooth then stir through remaining passionfruit pulp and seeds as desired.